Dispersive soils have become common materials for the construction industry. Highly susceptible to internal erosion and piping, dispersive soils must only be used with specific engineering measure in order to avoid failures that were often catastrophic. In an earth dam, clayey soils are used for the core and sandy materials are used for the filter to retain the eroded core soils and prevent their migration. In the absence of first-rate core material, dispersive soils have been used instead. 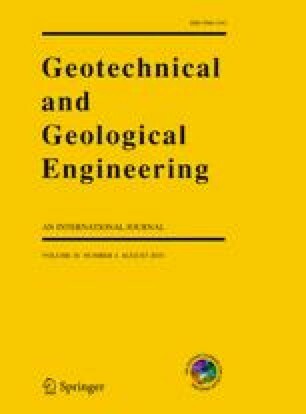 This paper provides a review of the current knowledge and experiences regarding filtration of core soils, particularly the dispersive ones. The engineering problems associated with the use of dispersive soils are discussed and significant findings from previous studies on protective filters are summarized. It is worthy to note that the current review considers both, the conventional, rather empirical filter design criteria based on particle sizes and the current, quite theoretical state-of-the-art filter design criteria based on constriction sizes, with discussion given on the advantages and disadvantages of both. The information provided by this review should be handy for the study, design, construction, and operation of related geotechnical and geo-environmental projects. This study has been fully funded by Universiti Sains Malaysia through various research, postgraduate, and postdoctoral grants.